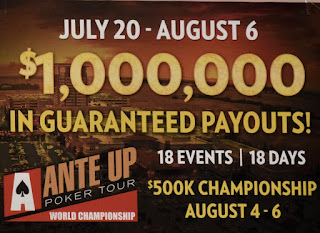 Omaha8 is the name of the game tonight, $160 is the buy-in and $10,000 is the guarantee. 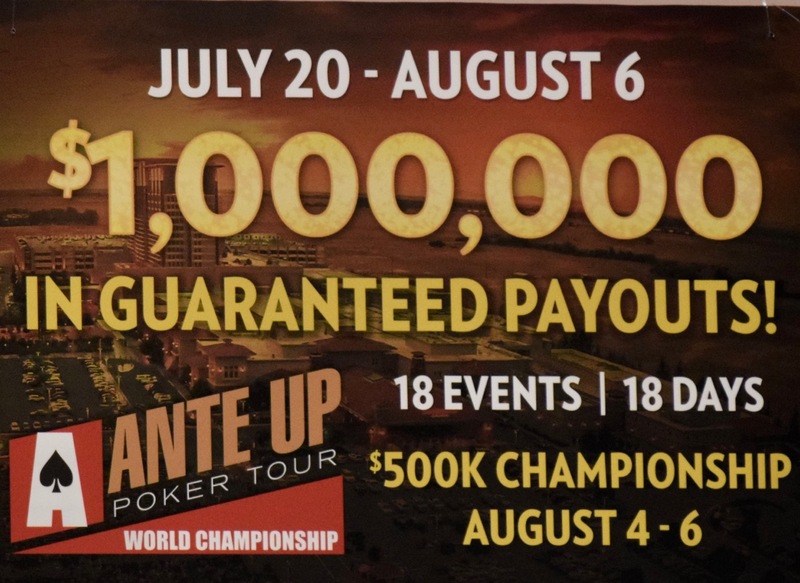 Players begin with 12,000 chips and play 20-minute levels for the first 9 levels, with a jump to 30-minute levels from Level 10 to the tournament finish. There's one entry and one re-entry per player available until the start of Level 6 at 6:55 pm.